Making you and your bike happy. 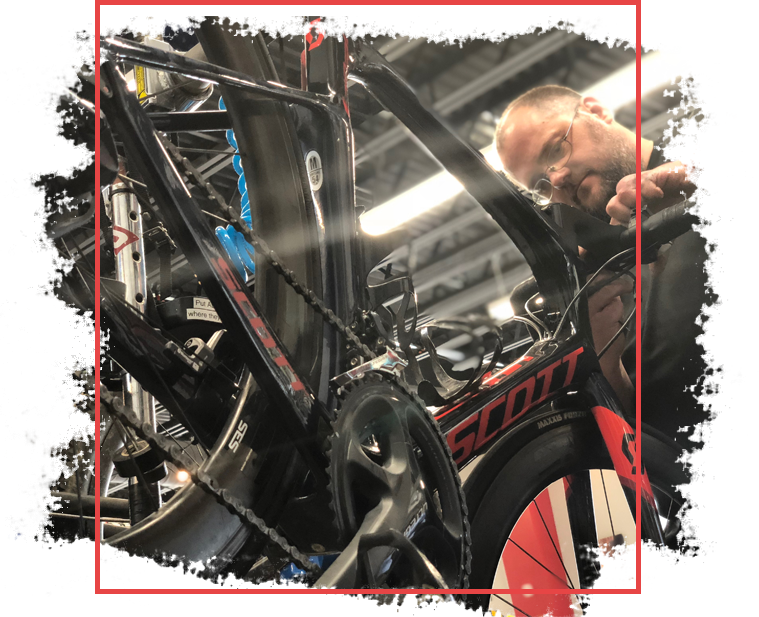 We’re a full-service bicyle shop run by passionate cyclists who genuinely love helping our customers. 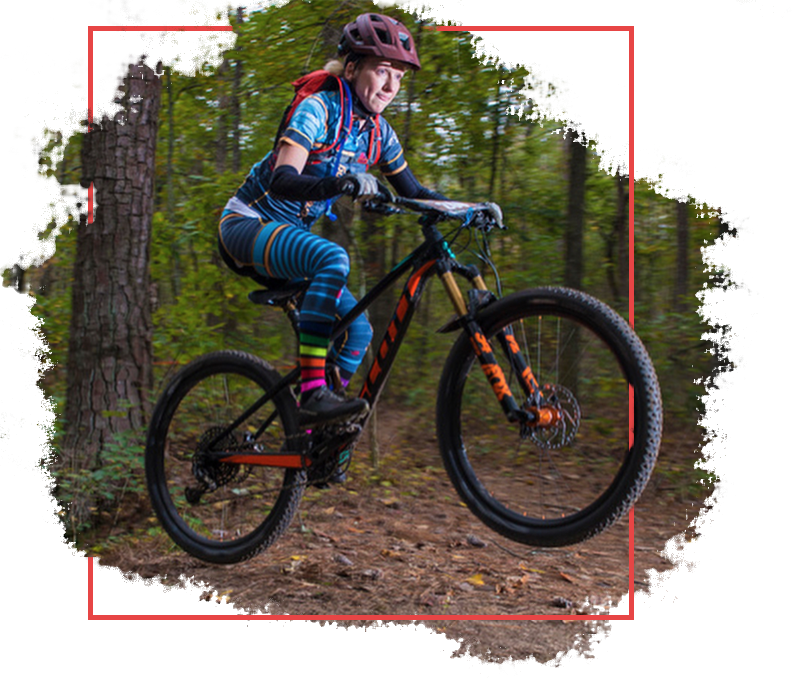 We use our expertise to get you back on your bike as quickly as possible (because no bike = no fun). I love these guys! Caleb is one of the most approachable, friendly bike owners I've met. (A lot of them are pretty friendly, but Caleb rocks!) I use them for everything. Caleb is the only one I'll let touch my bike. He knows his stuff and gets things done quickly. I ride a lot, so I want a fast turnaround. I don't trust the Performance Bikes of the world. Only my local neighborhood bike shop is right for me. Personable and reliable. Caleb is as good a mechanic as you will find. I was putting together a carbon cross country bike and was stuck. Caleb and Adventure Cycles came through. Multiple times now he has ordered parts that I could not find on my own or fixed something that was beyond me. I'm not saying that unicorns and rainbows fall from the sky when you walk in, but I can tell you that these guys will take care of your problem or hook you up with an incredible ride. They know their stuff, they're not looking to just make a buck on you, and they genuinely want you to enjoy bikes as much as they do. It was my first time at this bike shop, and the guys were extremely professional and kind. All I needed was a refill of air for my kids’ bikes, which they did for free. I looked around at the bikes they had for sale, and they look like a great high-end shop, with something for every price range. I will definitely be back very soon! By far hand's down the best bike shop in the area. The owner is very knowledgeable about the bikes and is extremely fair priced. This place is awesome. I recently went out with a friend and decided to get a bike. Being a novice I made the mistake of ordering a used mountain bike and when I received it there were a couple issues. Had a dent in my rear rim causing the tires not to seal properly and a couple other minor issues. I took the bike (Scott Genius LT 720) up to Adventure Cycles and Cayleb (Not sure about spelling) was able to find me a set of new rims at a great deal. Rims and other parts were ordered and installed. When I went to pick the bike up Tim helped me get everything set up and was very informative on how and why certain things were the way they were. Took the bike out and had an amazing time. I will be going back to Adventure Cycles for any and all my bicycle needs and suggest you do the same. Join the adventure cycles community on instagram! © 2018 Adventure Cycles. Site Design & Development by Multiple Atlanta.